Anyone interested in learning more about Freemasonry is invited to attend our public events. We meet for dinner on Monday evenings from 6pm to 7pm Central at 4133 Urbandale Avenue. If you are interested in becoming a member, you need only "ask", meet the qualifications, and be accepted by a Lodge. There are several in the Des Moines area. If you would like to join our Lodge, you may fill out a Petition for Membership and bring it with you to any of our public meetings. Your petition will be reviewed by a committee of Master Masons and brought to a vote before the Lodge when the review is complete. Candidates are admitted only on the unanimous consent of those present. 1. A place where you can confidently trust every person and trust your family with them also. 2. A place where, within moral and civil guidelines; free thought, free speaking and the spiritual growth of man, can grow into its fullest potential. 3. A place to meet outstanding individuals from all walks of life, that a person would not otherwise have had the opportunity to know and call brother. 4. A place to be part of an organization which has for its principal tenets – Brotherly Love, Relief and Truth. 5. A place that provides self-development opportunities, leadership training and experience, and to improve public speaking skills. 6. A place you can go to seek support as well as give it. 7. A place where moral virtues are taught and through these teachings a regular reinforcement of the moral virtues is experienced. 8. A place to spend time with a group of brothers, who by acting as good men, make me want to become a better man. Not better than others, but better than I would have otherwise been. 9. A place to become better equipped to serve Church and community. 10. A place to meet with established members of the community and to become a part of the community. Every freemason asserts his belief in God, and in the immortality of the soul. A Freemason believes that how he worships God is his own business, and how every mason worships God is his own business. Accordingly, masons believe fervently in freedom of religion. Freemasonry offers no pathway to salvation. That must be sought and found in a Mason's own place of worship, which he is encouraged to attend and to support. Because religion and politics are so often used to drive men apart, they may not be discussed in any Masonic Lodge. Freemasonry seeks to give men of all creeds a way to meet in brotherhood and mutual respect, to join together in common causes to benefit those in need. If a Mason's own religious beliefs require of him a voluntary life of caring and sharing, of attention to the needs of the less fortunate, Freemasonry offers a variety of charitable outlets to satisfy his compassion. To that extent, Masonry strives to be the ideal partner of any moral religion. 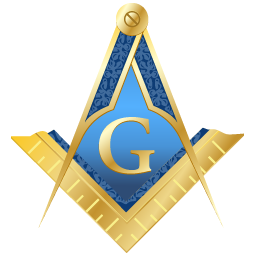 A Mason must never put his duties and responsibilities to Masonry ahead of his duties and responsibilities to his family, to his God, to his job, neighbors or to his country.